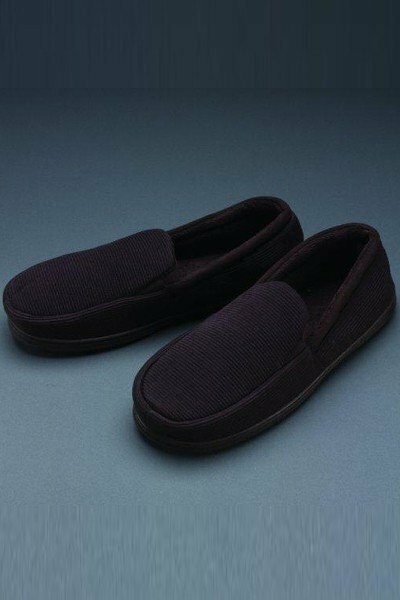 Sturdy corduroy moccasin with foam cushioning for added comfort. Non-slip rubber sole. Machine washable. Wide width. Brown or black.